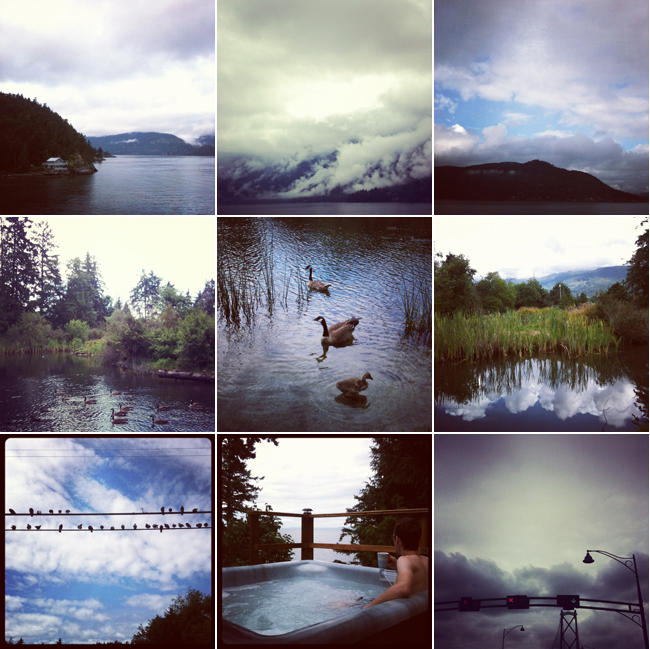 travel “tuesday” :: sunshine coast | .liveit.loveit.blogit. Travel “Tuesday” this week is on a “Tuesday” because my little computer was sick and in the hospital on Monday and Tuesday morning. Trackpad problems. But no worries, she’s back and working better than ever! As I mentioned on Monday, this past weekend we photographed a beautiful wedding on the Sunshine Coast. And the second best part? Mini-vacation. The Sunshine Coast of British Columbia is beautiful quintessential West Coast. Only 40 minutes by ferry from Horseshoe Bay and you feel like you’ve arrived in another world. The wedding was at Rockwater Secret Cove Resort, we stopped in Sechelt on the way up, and stayed at a cute little B&B (complete with private hot tub) in Gibsons. Not a bad way to spend a post wedding morning. And despite the cloudy images, the Sunshine Coast lived up to its name and the weather cleared Saturday afternoon for the wedding. More details to come soon, friends!